Our attention has been drawn to a false declaration by one illegal man claiming to be the Chairman of ACPN Ekiti LGA named Mr obafemi that the ACPN members in Ekiti LG have now decamped to APC. He was recorded that he made this fallacious statement at the APC rally held in Isare Opin today, Thursday 7th February 2019. Beware that the so called Obafemi is a fraudster and an hungry man who just want to collect money and gain cheap popularity within the APC fold. This is untrue as the candidate of ACPN for the state house of Assembly, Hon Ariyo Odeyemi is still intact and very much in touch with his people. We implore the general public to discard this false declaration. 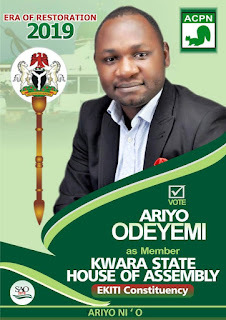 Hon Ariyo Odeyemi is still a candidate for the state House of Assembly and all structure of ACPN remain unshakable. 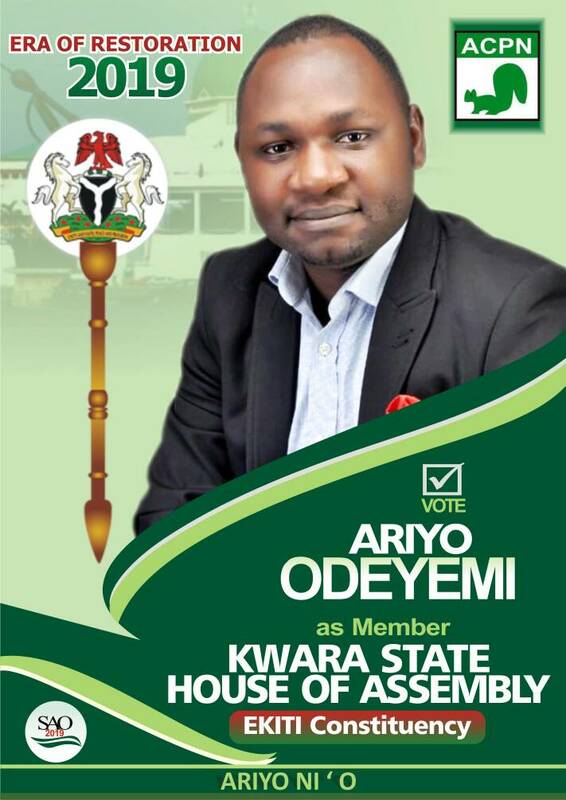 I elder kuti Kayode (jp) ACPN Kwara state chairman,hon.Ariyo is among the serious ACPN candidates in kwara state.